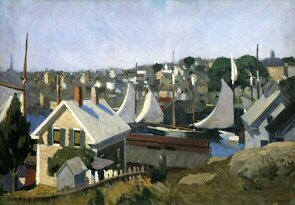 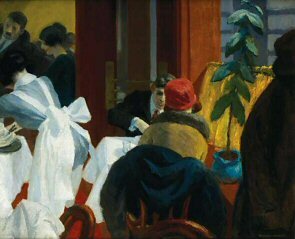 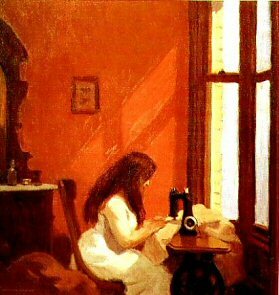 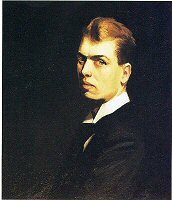 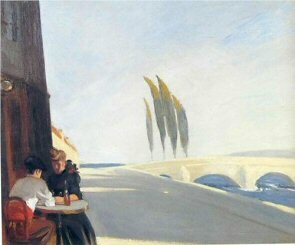 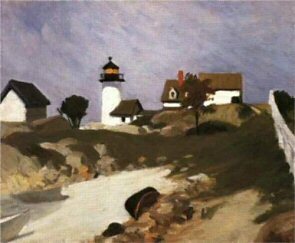 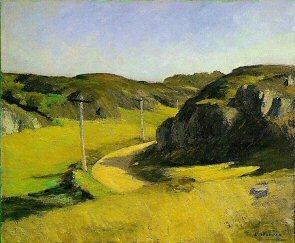 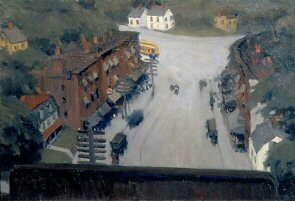 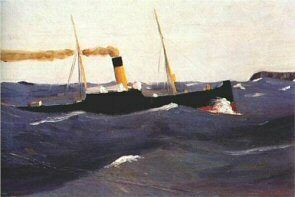 Edward Hopper was an American art painter who made paintings about typical modern American life. 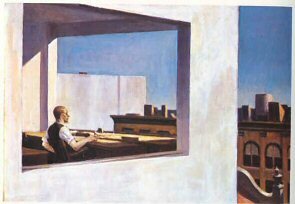 His paintings are known for realism and simplism and often show the isolation of individuals. 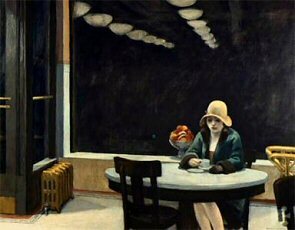 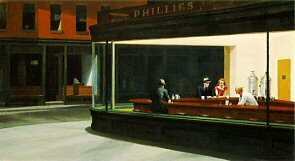 His most famous painting is Nighthawks, which depicts a New York diner at night.